Season Tix on-sale August 28, single tix September 4th ($35/$30/$20). Grammy-award winning vocal ensemble, Ladysmith Black Mambazo, traveling from South Africa finishes their North American tour in Brookings. Named by the late Nelson Mandela as South Africa’s Cultural Ambassadors to the world, the remarkable harmonies and unique melodies are most likely familiar to Woodbine fans. The ensemble was created in the mid-1960’s and came to prominence in the US during their partnership with recording star, Paul Simon. 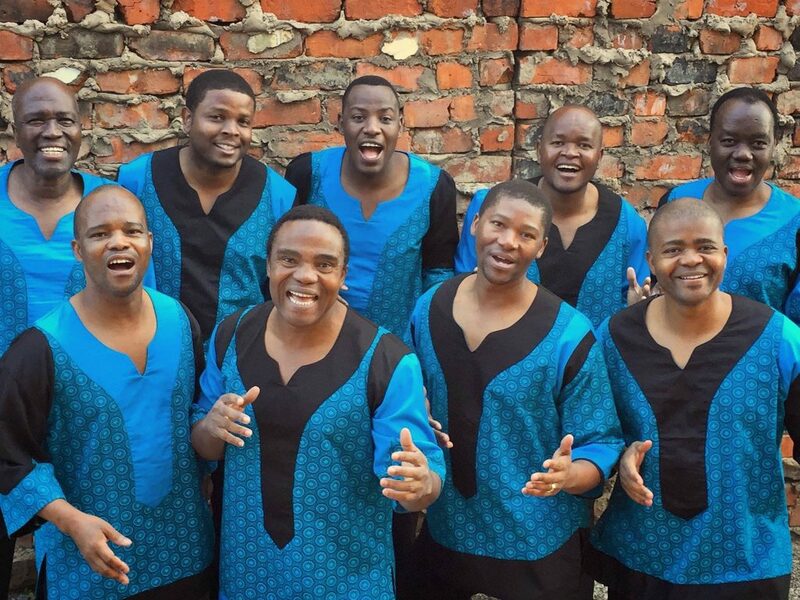 In addition to their work with Paul Simon, Ladysmith Black Mambazo has recorded with numerous artists from around the world, including Stevie Wonder, Dolly Parton, Sarah McLachlan, Josh Groban, Emmylou Harris, Melissa Etheridge and many others. They have appeared on Broadway, have been nominated for Tony Awards and have won a Drama Desk Award.